Fans of James Cameron’s Avatar have been eagerly awaiting a sequel since the film was released in 2009. Cameron has been teasing us with the slightest details of what the next Pandora-set adventures might involve, but he has been very coy about story specifics and start dates. However, it now looks like Cameron is already halfway done with the 3 Avatar sequels. As James Cameron tinkers away in New Zealand on Avatar 2, 3 and 4, he took the time to talk about the three back-to-back sequels that are expected to head into production imminently for release in 2016, ’17 and ’18, and he seemed rather pumped about what he has in store. 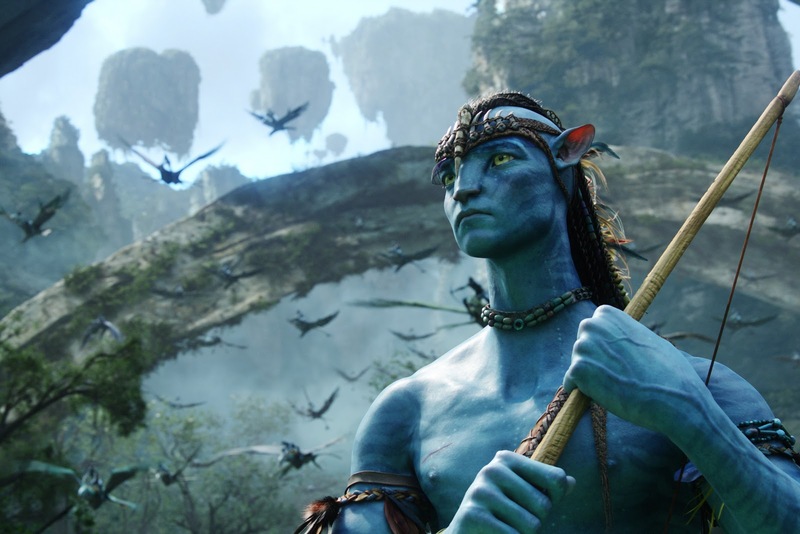 Avatar 2 is even intended to release on Christmas of 2014, however such delays took place, the move to shoot three Avatar sequels at the same time makes sense for a number of reasons. First, Avatar wasn’t cheap to produce (over $200 million), and three films would come at a reduced cost if Cameron concentrated on one extended shoot, rather than dismantling everything only to have to rebuild (and re-hire) a few months later. Peter Jackson shot the Lord of The Rings trilogy at the same time, a move which kept costs to a minimum – and we all know how that turned out. The move also ensures the availability of cast and crew. One blocked time-frame means that you may not have to recast roles, or shoot around actors who are busy elsewhere (hence the reason why Political Animals will have to wait for Weaver). Other than that, there could be a downside to this plan. Avatar was so successful ($2.7 billion globally) because audiences had never seen anything like it before – it was a “game changer”. The effects, coupled with the use of 3D, made it a true cinematic experience, but Cameron risks cheapening the brand, (if you will) by flooding the market with too many Avatar films. Sure, there is pent-up demand for Avatar 2 now, but will fans be so willing to part with their cash to see parts three and four in quick succession? Here’s a sneak peek of the AVATAR 2 Trailer! Clash of Snake And Spider, Who Will Win?